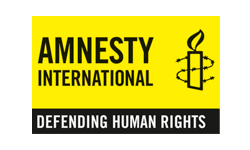 ​Amnesty International’s Milena Marin reveals the cutting-edge digital investigation behind the BBC Africa Eye report on the executions of women and children by Cameroonian soldiers. Milena will discuss how Amnesty is using tech, open source investigation methodologies and crowdsourced digital volunteers around the world to expose human rights abuses from Darfur to Syria to Twitter. A grisly video showing a heinous act of violence quickly went viral after it was posted on 10 July 2018. Men dressed in army fatigues and wielding military-grade rifles brutally marched women and young children – including a baby strapped to his mother’s back – to a rural location before blindfolding and executing them in a hail of bullets. As the video spread on social media, so did the rumours. Was this in Mali or Cameroon? Were they government armed forces or Boko Haram fighters masquerading as soldiers? Was it real or staged? In situations like this, the ‘truth’ can appear malleable, with those in power sometimes taking advantage of the confusion to peddle false narratives. That’s precisely what the government of Cameroon initially did. Fearing a backlash if the real story came out, on 12 July Cameroon’s Minister of Communication held a press conference where he attempted to dismiss the video as ‘fake news’. But even if what is perceived as ‘truth’ is malleable, the facts are not. The same day as the Minister’s press conference, Amnesty International’s forensic analysis of the video began to establish the facts of what happened. The organisation’s research followed meticulous open source investigation methodologies and the findings were corroborated by testimonies from the ground. Relying on multiple strands of evidence – including geolocation of the video, expert analysis of the uniforms and weapons used, and linguistic and other contextual clues in the speech that gave away the identities and ranks of the soldiers – the organisation was able to begin to build a case to counter the official narrative. The evidence strongly suggested that Cameroonian soldiers were the ones extrajudicially executing civilians in the video. Subsequent research by Amnesty International bore this out, and a community of open source investigators collaborating on the case pin-pointed the exact location near the town of Zelevet and narrowed down the date to sometime in late March or early April 2015. In August, when another horrific video surfaced showing more military executions, the government of Cameroon backed down from its denials and announced that seven soldiers had been arrested and were under investigation for the Zelevet killings. A subsequent BBC Africa Eye documentary, Anatomy of a Killing – released in September with support from Amnesty International and other open source investigators – detailed how those arrested included three soldiers who appear in the viral video. Want to know more about this innovative area of Amnesty’s human rights research work and how it is applying the latest techniques to uncovering human rights abuses from the destruction of Raqqa to online violence against women on Twitter? Milena Marin has ten years of experience working at the intersection of technology, data and social good. She is currently leading Amnesty International’s Digital Decoders programme – an innovative platform engaging tens of thousands of people in processing large volumes of data such as satellite imagery, documents and pictures for human rights research.